Due the events in North Africa and I feel compelled to write a post urgently in relation the this unfolding human tragedy especially now the “No Fly Zone” is imposed which is nothing more that a ruse to create the pretext of an invasion of Libya. Text Update 22 March 2011: I am in the process of writing a follow-up post,so if you re-visit by EST 23 hours it should be posted. Unfortunately as with the distortions made at the start of the Iraq war so the same is going on today. The worst of it is we who support the sovereignty of nations and the right of those nations to self-determination (as does the UN charter) are accused of being inhumane, supporters of genocide or posed in the position of “you are either with us or against us”. Those of you who follow me on twitter are aware of the anomalies I have raised about the reporting of the Libyan crisis, the real reasons behind the US and UK Sabre rattling and the continuing distortions in reporting by the media. The ABC is especially guilty of this. This is illustrated best by the bullet points below. A good starting point is to ask a question why no fly zones imposed over Bahrain, Gaza, and Yemen. 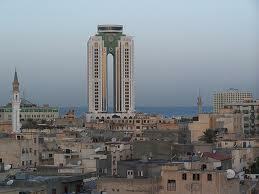 The Arab League held its last annual summit meeting last March in Tripoli. To understand better the crisis today it is important to know some history.I reject the lies that the international community via the UN and the main stream media are now using in an attempt to justify the invasion occupation of Libya and continue the cover up of war crimes. 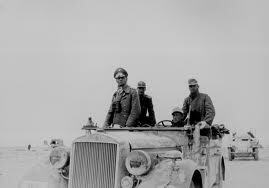 During World War II, Idris supported the United Kingdom brought the Cyrenaican nationalists (East Libya) Capital Benghazi to fight alongside the Allies against the Germans and Italians. After the war and from Benghazi, Idris negotiated with the British for independence. 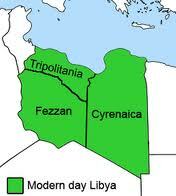 With British backing, Idris was proclaimed an independent Emirate of Cyrenaica in 1949. He was also invited to become Emir of Tripolitania, another of the three traditional regions that now constitute modern Libya (the third is Fezzan) With the support of Britain he began uniting Libya under a single monarchy. A constitution was enacted in 1949 and adopted in October 1951. 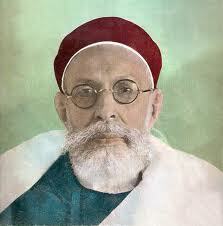 By December 1951 the federal United Libyan Kingdom was proclaimed with Idris imposed as king much like the Shah of Iran. 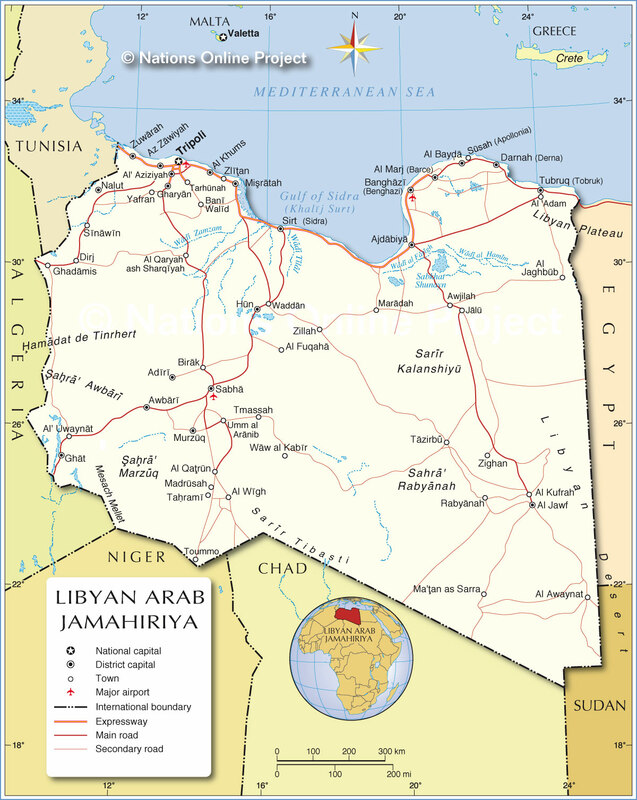 In 1963 the constitution was revised and the state became the Kingdom of Libya. To the annoyance of Arab nationalists supporters of Pan-Arabism in neighbouring states, Idris maintained close ties with the United Kingdom and the United States, even after the UK invaded Egypt in 1956 in the Suez crisis. 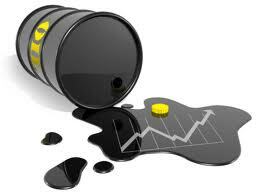 Oil was discovered in Libya in 1959, and what had been one of the world’s poorest countries became extremely wealthy. 42 years ago, Gaddafi nationalized Libya’s then foreign-controlled oil industry and ordered the closure of the US Wheelus Air Base first used by the USAAF as a bomber base in 1943. It remained in use by the United States until 1970. Gaddafi’s anti-Communism initially pleased the United States but diplomatic relations were cooled and were formally broken in 1981. 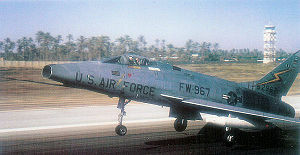 The US Wheelus Air Base base was bombed by the United States in 1986 with F111s during Operation “El Dorado Canyon”. Other targets were bombed but the main aim was assassination of Gaddafi. In the same series of attacks US warplanes mistook an undersea coral reef Fernandia near Sicily for a Libyan submarine and dropped depth charges on it. One is reminded of the 12 boys collecting wood in Afghanistan killed by the US last week. At that time a vote of 79 in favor to 28 against with 33 abstentions, the United Nations General Assembly adopted resolution 41/38 which was as follows…. 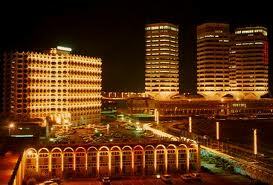 Libya made impressive gains in health care, education, housing, the rights of women and basic social services. His brand of Islamic socialism, combined with the country’s relatively small population and large oil reserves, made Libya one of the most prosperous. Though a strongman Gaddafi also established a less centralised political system which allowed for direct democracy and popular participation. A very different concept of democracy than we are used to but yes repressive to outright opposition. 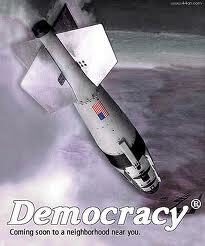 However it was never a democracy as we understand it. The sitting in tents the standing and jumping up and down on car roofs while firing off AK47s seems its their way. Who are we to argue? Apparently not if they are on the side of the US or UK. One of the most idiotic things is firing off and shooting weapons into the air…can you imagine where all that lead is going to land and the damage it will do to any soft meaty substance it must inevitably come into contact with. You get casualties. The US has long supported similarly repressive regimes in the Middle East, any repression was never a major concern of the eight US administrations that have governed since 1959 when Gaddafi then a young Colonel seized power. 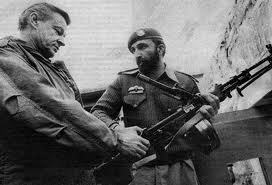 During the early 80’s, there were military clashes between the United States( President Reagan) and Libya. 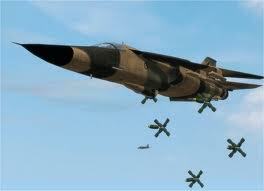 US Naval forces destroyed Libyan military ships and aircraft and bombed coastal military installations. The US supported a wide range of covert activities targeting Libya, including disinformation campaigns, propaganda, sabotage and support for opposition groups. This included then as it does today demonising their opponent. 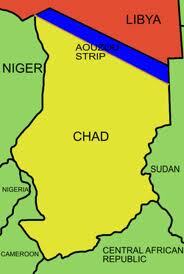 The US also provided logistical support for the French military (including mostly our old buddies the Foreign Legion) against Libyan forces a disputed area known as Ouzou Strip region of northern Chad. 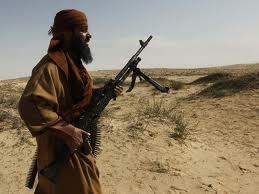 At the same time the US Egypt to poke and prod Libya in a series of clashes along the Egyptian-Libyan border. Throughout the 80’s and 90’s, the US government issued a series of reports in the media, designed to discredit and demonise the Libyan government. These reports included charges of a Libyan hit squad targeting American officials, and of the presence of a large underground chemical weapons factory. Subsequent investigations found all of these reports were false. Actions by the US against the regime of several coup attempts against Gaddafi. Oh my …..this is all very familiar? In 2003, following prolonged negotiations with the United States and Great Britain, Libya announced that it had given up biological, chemical and nuclear weapons research programs Weapons of Mass Destruction (WMDs). All independently audited. As a result in 2004 the United States ended its sanctions and restored diplomatic relations….opening the way for US arms sales and the training of the Toureg tribes by US special forces. 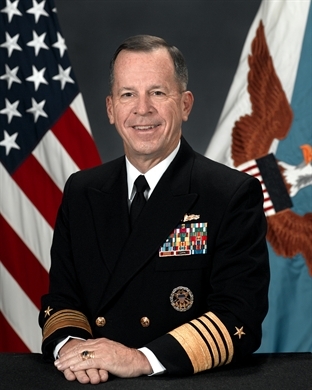 “Incentives, rather than just threats, were used, in this successful non proliferation effort. Indeed, given that Iraq had disarmed and was invaded anyway, the Iraq war could hardly be seen as an incentive for Libya to give up a potential deterrent”. Early on April 15, 2006 to mark the 20th anniversary of the US bombing raid a concert with Lionel Richie and tenor José Carreras was held in front of Gaddafi’s bombed house in Tripoli. It was called for the “concert for peace” That was just 4 years ago. So why this attack now on Libya? Today we see double standards used by Obama to justify his North Africa foreign policy. In many way his policy is worse than that of George dubya. This is disappointing to come from a man we all believed would bring something new to the US and World Scene “Yes we can” but certainly not unusual in the history of US foreign relations. Libya’s most serious offenses to date in the eyes of the US have not been so much about human rights, nuclear ambitions, subversion or conquest, but had been (past tense) in daring to challenge American interests in the Middle East and its puppet states. Today the US fears that if an opposition does take hold in Libya unless they are invloved it will be a regime also antagonistic to their oil and political interests in the region. 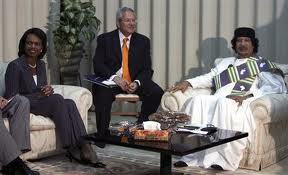 In the mid 2000s Qaddafi would receive praise from Jose Aznar; Prime Minister of Spain ; and Subsequently Zapatero the current Spanish PM. There was Tony Blair (signing an oil deal 07), Berlusconi, who addressed the last Arab League summit held in Tripoli in 2010 and Sarkozy one of the largest importers of Libyan Oil. Sarkozey is turing into the most active critic of Gaddafi. Why? Why do you think it is? They are accusing him, 24 hours a day, of shooting against unarmed demonstrating citizens. Why don’t they explain to the world that the weapons, and especially all the sophisticated repressive equipment Libya possesses, were provided by the United States, Great Britain and the other illustrious hosts of Gaddafi? However, the combat between Qaddafi and bin Laden is very real and predates the September 11, 2001 attacks on the Twin Towers and the Pentagon. Indeed, Qaddafi was the first to alert Interpol to bin Laden, but got no cooperation from the United States. 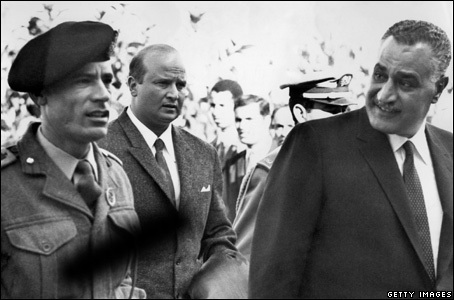 The declared aim was to overthrow Gaddafi in order to establish a radical Islamist state. 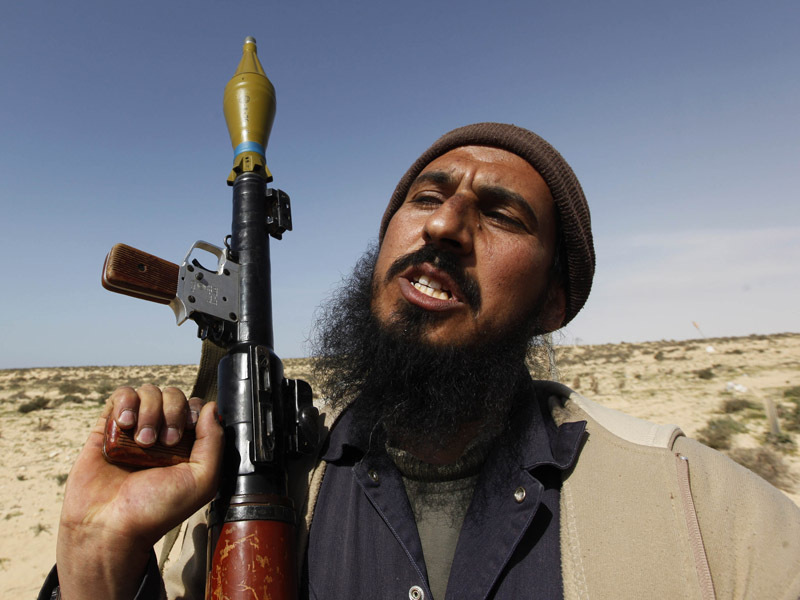 The base of radical Islam has always been in the Eastern part of Libya where the current revolt broke out. That revolt did not at all resemble the peaceful mass demonstrations that overthrew dictators in Tunisia and Egypt, but immediately took shape in that of an armed rising. It has a visible component of armed militants, it can reasonably be assumed since a current Libyan member of the Taliban is the head of security in Benghazi that the Islamists are taking a greater part in the rebellion. These pictures of Libyan resistance fighters could just have easily been in Afghanistan but they weren’t. We have been here before! In another case of blow-back. In1999 another moment in history when completely unacceptable terms for an agreement were presented to another pariah this time called Milosevic. Below is a condition as part of an imposed settlement in the Kosovo conflict giving NATO forces complete access to Serbian positions. It was of course rejected. “NATO personnel shall enjoy, together with their vehicles, vessels, aircraft, and equipment, free and unrestricted passage and unimpeded access throughout the [country]including associated airspace and territorial waters. This shall include, but not be limited to, the right of bivouac, manoeuvre, billet, and utilization of any areas or facilities as required for support, training, and operation”. The Rambouillet Agreement accepted by Belgrade was fully rejected by the Kosovo Albanian side.Belgrade had agreed to all of the political and non-military points. Note The Libyan rebels at the time of writing have rejected the UN requests for a ceasefire. For the next few passages you could substitute; Gaddafi for Milosevic, Kosovo for Libya, Rebels for KLA. What do we hear the Libyans being told? The charade of peace talks at Rambouillet was finally scuttled by US Secretary of State Madeleine Albright, who sidelined more moderate Kosovo Albanian leaders in favour of Hashim Thaci, the leader of the “Kosovo Liberation Army” (KLA). The same The KLA later found linked to be little more than a criminal gang. The Albanian rebels in Kosovo were a mixed bag like those in Benghazi, but typically the US reaches in and draw the worst out of the bag. They will do it again! In Libya, the situation could be even worse. The current rebellion is a much more mixed bag, with serious potential internal contradictions. Unlike Egypt, Libya is not a populous historic state with thousands of years of history, a strong sense of national identity and a long political culture. Half a century ago, it was one of the poorest countries in the world, and still has not fully emerged from its clan structure. Qaddafi, in his own eccentric way, has been a modernizing factor, using oil revenues to raise the standard of living to one of the highest on the African continent. The opposition to him is a paradox. On the one hand it comes from Islamists who see him as a heretic for his relatively progressive views, and on the other hand beneficiaries of modernization who are embarrassed by the Qaddafi eccentricity. Though this threatened invasion has the sanction of the UN it is still legal The action is in clear breach of the article that states no other member shall invade another member unless attacked. 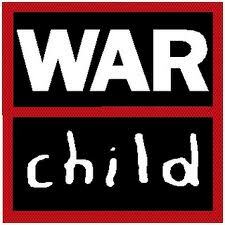 This is for good or bad a Civil War and in war there are casualties like the truth we are being told. The dogs of war are sniffing around for more bloodshed than has actually occurred. The US escalated the Kosovo conflict in order to “have to intervene”, and the same is happening now with regard to Libya except the foot soldiers look like being the French the British and troops from some of despotic members of the Arab League. This is where Western ignorance of what they are doing is going to blow-back, split of the country and create another Somalia. In 1999, the United States was eager to use the Kosovo crisis to give NATO’s new “out of area” mission its baptism of fire. 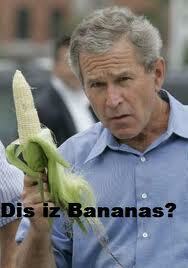 In 2003 we were given Iraq and Afghanistan. Since then Pakistan. These humanitarian failures are obviously not going to stop. Twelve years later, it is Kosovo 2 over again. Hundreds of thousands of Iraqis dead, a war to protect the Kurds. NATO stranded in an impossible position in Afghanistan also a war to protect women and the success is….? The Kosovo war was made to stop a nonexistent genocide. All wars claim to have humanitarian justifications? Hitler was “protecting minorities” in Czechoslovakia and Poland. Robert Gates ex Director of the CIA warns that any future secretary of state who advises a US president to send troops into Asia or Africa “must have his head examined”. Is this the great paradox of our time is that the headquarters of the peace movement are in the Pentagon and the State Department? The South Americans watch anxiously especially the demonisaion of their leaders. They want peace and they want to avoid US intervention. in their theater. They know that they too are in the sights of the US and that their process of social transformation requires above all peace and national sovereignty. 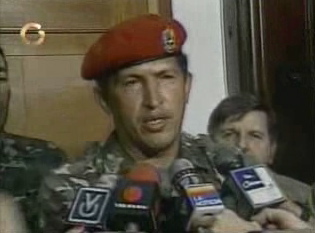 Hugo Chavez knows this from his experience of the US popular” 2 day coup against him. Chavez suggests sending an international delegation, possibly led by Jimmy Carter in order to start a negotiation process between the government and the rebels. The Israelis are unsure about Libya: they hate Gaddafi, and would like to see him gone like Saddam but they probably will not like his opposition and from what is now emerging they won’t. The main pro-war argument is that if things go quickly and easily, it will rehabilitate NATO and humanitarian intervention, whose image has been tarnished by Iraq and Afghanistan. A new Grenada is exactly what is needed. Another motivation for intervention is to better control the rebels, by coming to “save” them on their march to victory. But that is unlikely to work: Karzai in Afghanistan, the KLA nationalists, the Shiites in Iraq and of course Israel, are perfectly happy to get American help, when needed, but after that; Its Blowback. They all pretty much pursue their own agenda. And a full-fledged military occupation of Libya after its “liberation” is not sustainable. It is almost impossible to know exactly what is going on in Libya, because the media continue to discredit themselves with commentary and speculation made on baseless information as it was and still is in Iraq, Afghanistan, Lebanon and Palestine. Sadly for the victims of war this does not prevent the left from being absolutely convinced of the truth of the worst reports about Gaddafi, just as they were twelve years ago about Milosevic. The negative role of the International Criminal Court is again apparent, here, as was that of the International Criminal Tribunal for Yugoslavia in the case of Kosovo. One of the reasons why there was relatively little bloodshed in Tunisia and Egypt is that there was a possible exit for Ben Ali and Mubarak. But “international justice” wants to make sure that no such exit is possible for Gaddafi, and probably for people close to him, hence inciting them to fight to the bitter end. This was a hard and long post to write and without doubt I will re-read and change a few things. You know how it is I may add a few more pictures…make sure the spelling is okay. I have already researched my next post on the Arab League which will now be part 3 of this. You will find some eye openers there. See you soon and I promise the feel good stuff previously mentioned is in the wings…but this debacle takes precedent.